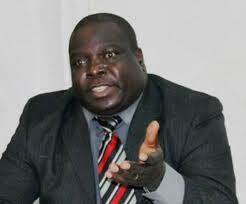 Is Kambwili an alarmist or a whisle blower? Roan PF member of Parliament Chishimba Kambwili claims to the whistle blower of the numerous corruption activities in government. He is the number one news maker in Zambia because of exposing his friend in govt on issues of corruption. Kambwili has also exposed how the supplier of the trucks Bokani Soko works with the office of the president in numerous deals. He said government has already awarded Soko ‘s company a tender to supply fertiliser under the failed E-voucher System . The self proclaimed Junior cobra has even told the nation how then minister of local government Stephen Kampyongo received three brand new vehicles bought for him by Mr.Bokani Soko the supplier of the fire trucks in 2015. Such an allegation is very serious,to make matters worse it was even made in Parliament ,but Kampyongo is has not taken any action. A group of gallant men and women stood up asked for permission to peacefully demonstrate and they where arrested. We salute Laura Miti ,Sean Enock Tembo ,Lewis Mwape and Pilato for standing up for mother Zambia. Rainbow party President Winter Kabimba yesterday featured on Pan Africa radio and described Kambwili as an alarmist not a whistle blower. There is a simple question that we would like to ask the nation and its on Kambwili and his corruption whistle blowing. Sean Tembo and his colleagues were picked up by police and detained in custody for almost the whole day last Friday for demonstrating to the questionable procurement of the fire fighters. Then why is the able leadership of his excellence President Lungu so soft on Kambwili, leaving him alarming the nation. If the demonstrators were arrested by the most educated Zambia police who are on record of arresting citizens without evidence,then why can’t they pick Kambwili to burry this corruption allegations. It is very Clear that the PF govt knows how Kambwili will destroy them if they happen to set the law on him. Men and Women like Sean Tembo should take up the mantle to demonstrate,corruption is very dangerous to third world countries like Zambia. Zambians should once again rise to the occasion ,unity and fight for what belongs to them. We are luck Kambwili is here to lead us with bulk of information on corruption being practiced under this regime. Kambwili is on record of question the republican President Edgar Lungu how he acquired the 23 million Kwacha he declared last year during elections as his assets when a year ago he was worthy 2.5 million. He said President Lungu has no running business that can make him so rich in a period of one year. This alone explains how deep the cancer of corruption is in this govt. Cadres like Munir Zulu today can call a press briefing and claim Kambwili owes him over K100,000 . What sort of business is Munir doing to help him raise his capital to that much. Kambwili has damaged the reputation of this government but why can’t the government sue or arrest him ? Zambians should make use the Roan law maker’s outbursts because he knows very well where corruption is rooted . This is not the time to hero worship Lungu and his friends in government let the procurement of the fire fighters be an issue to expose them to the corruption. 6 Responses to Is Kambwili an alarmist or a whisle blower? Lungu is a thief, and MUST be removed from office. Thieves belong to jails and not to StateHouse. Lungu is a disguised super crook! CAN WE REQUEST CK AND OTHERS TO URGENTLY LAUNCH A PETITION. IT’S TIME TO CLEAN THE HOUSE BEFORE MOVING FORWARD. 23 million is not a lot of money if you have say property in the prime areas of Lusaka.. For instance the value of mr kambwili’s house in kabulonga is more than a similar one but located in kalingalinga or mutendere or indeed in roan township. ECL and his government are a bunch of white color thief, that agreed to. But my concern is why will always have an alarmist or whistle blower only wen they re kicked out of the corruption wagon. Its not fair to Zambia, if CK was not equally to them and saw them corrupt why didn’t he warn u then. To me its sour grapes there, am so sure if CK wasn’t kicked out non of these issues would have come out coz he would have been a part of the wagon of beneficiaries. It being SOUR GRAPES or the CORRUPTION ISSUES Kambwili is raising??? ?